Chris always made me a Valentine card. Unknown to her I kept all the letters and cards she sent me, so this year I’ll recycle one. There’s one decorated with images of Tristan and Isolde, that I particularly love. I think she’d approve of that. I’ll know who it’s from (but then I always did). Well, who’d have thought it. Since Lupercalia hasn’t been celebrated for a couple of millennia, Chris and I always tried to get home for Valentine’s Day instead, to exchange cards and share a bottle of wine over dinner. Once, memorably, it was a rare Californian Orion Syrah (you should try it at least once in your life) that we sipped appreciatively for hours. 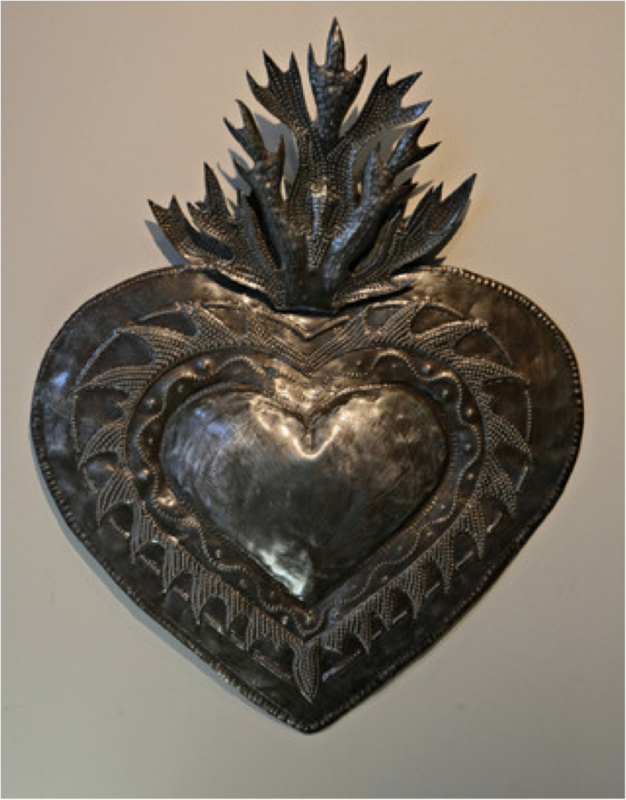 The flaming heart image is a Mexican corazon en llamas and I chose it to celebrate the idyllic month Chris and I spent together in 2009 at Leigh Hyam’s studio in San Miguel de Allende. Every morning Chris painted and I wrote; each afternoon we went to the internet café in town, did some window shopping, and scouted around until we found an interesting bar for an early evening marguerita. Mmm. An early evening Marguerita. Now there’s an idea.